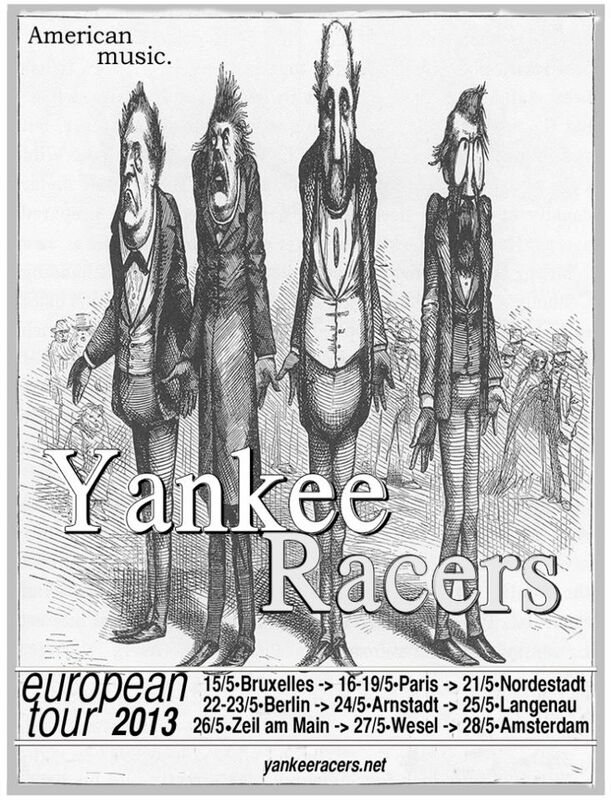 Yankee Racers concert in Berlin is part of their first european tour 2013. Their music sound is best described as Rock/Roll/Indie/Soul. The Yankee Racers emerged in 2011 from disparate ends of St. Louis’ rock scene and Chicago’s jazz scene. Its prime movers, guitarist Curt Brewer and pianist Nathan Jatcko, spent years playing together in various professional groups before making the decision to produce their own music. With the explosive reception of their first release, Yankee Racers evolved into a dynamic live band utilizing Brewer as lead vocalist. Their touring band adds the boundless talents of acclaimed musicians Jerry Mazzuca (drums) and Chris Turnbaugh (bass). The strength and depth of their collective comes from each musician’s arsenal of experience and the uniqueness of their live show is in their unpredictability. Yankee Racers refined focus on writing with live performances in mind is highlighted in their upcoming release, due out May 2013. Public Transport :M10 +U1 Grunbergerstr./Warschauerstr.